Real Estate Closing Process | Louisville, Kentucky | Joe Hayden Real Estate Team - Your Real Estate Expert! Now that you have an accepted contract to purchase a home, our number one piece of advice to you is to have patience and relax! Once the initial negotiations are complete, there will be several contingencies that are beneficial to you that take time to pass. This is the time when your real estate agent helps make the final preparations to close, coordinating the purchase transaction and helping with communication. Before the inspection contingencies are removed from the contract you will have an opportunity to cancel the contract for any reason you see fit. Therefore it is important that your Louisville, KY Realtor® work fast and efficiently to ensure you are protected with the purchase. You should take the time during this period to revisit the home yourself with a critical eye to look for anything that may have slipped past prior to having an accepted contract. If there are any issues that require attention, the Sales and Purchase contract specifies how to request resolution. If you and the seller cannot resolve the issues to your satisfaction, you can cancel the contract. Once the contingency period is passed, you are now committed to purchasing the home on the agreed upon terms. Should you decide not to purchase the home now you will at the least lose your good-faith deposit as liquidated damages to the seller. Should the seller decide to back out of the contract you can use the court system to force a sale. My advice to you if this were to happen, though, would be to just walk away and find another home. The litigation costs and time involved could possibly make it unfeasible to move forward. It still remains your choice how to proceed. It is now time to find a provider for your homeowner's insurance policy. I have found it best to try and put all of your insurance with one carrier, plus to try to take the highest deductible you can safely afford. You should also shop your coverage as you may be surprised to find the cost differences among providers. One of the terms in the contract details when the closing will take place and exactly what is supposed to happen at close. Once the contingency period has passed, your lender and Realtor® will be coordinating the closing. A title company will be chosen to handle the signing and recording of all of the required documents to take possession of the home. In Kentucky, an attorney must conduct the closing and take responsibility for recording the various documents. Your Realtor® and lender will usually choose an attorney they have developed a relationship with to make the transaction smooth. Once the closing date and time is set, the lender and title company will draft the necessary documents to transfer the home. 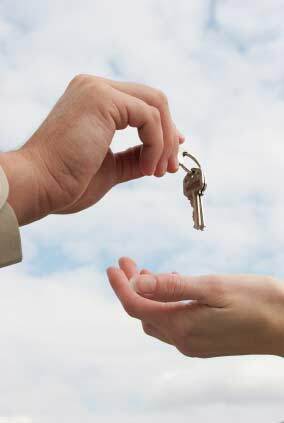 You will be asked to verify and provide certain information to the lender to complete the transaction. Just prior to the closing, your Realtor® should schedule a final walk-through so you can ensure all terms of the contract have been met before closing. The title company should also provide you with the completed, accurate settlement statement that enumerates exactly what costs are involved in the transaction. Make sure this is carefully reviewed before closing. You can also be afforded the opportunity to view the actual closing documents prior to close. If you are interested in the details specified in your loan, I would suggest acquiring these documents a few days before close so you have time to review. During the actual closing, the attorney will probably be moving too fast to read every document you are signing completely, so if you are like me and want to read every detail of everything you sign, let your Realtor® know so they can request the documents. Just before closing you should contact all of the local utility companies to make sure that the services will not be interrupted. The seller should cancel their services the day of closing and your services should begin. Use your Realtor® to help coordinate this with the seller. On the day of closing, make sure every person who will be signing documents has a valid, current driver's license or passport. Also, find out from your Realtor® and lender exactly how much money you will need to bring to close. The closing should take roughly an hour and will involve a lot of writing, so get that signing hand ready! Everything should go smoothly if your Realtor® and lender have done their jobs completely and correctly. Once all of the documents are signed and the money changes hands, you are now the proud owner of a new home! Congratulations! One final note; remember to have fun and smile at your closing! It is the culmination of a lot of hard work, planning, and decision-making. You deserve to relax and enjoy the successful completion of all that effort. I look forward to helping you every step of the way to get to this very special day!